The Ministry of Health, with technical support from the Food and Agriculture Organization of the United Nations (FAO), is leading efforts to implement the Letter of Commitment by promoting participatory governance, using actions designed at the interinstitutional and intersectoral levels with groups involved with food and nutrition, focusing on overweight and obesity. The commitments in the Letter to comprehensively address overweight and obesity in children and young people, which was signed by 10 ministers of the Government Council and the Executive Director of the Costa Rican Social Security Fund, were made in response to the Declaration on the Sustainable Development Goals (SDGs) of the 2030 Agenda, especially Goal 2 on ending hunger and Goal 3 on ensuring healthy lives. “In the context of these commitments, a process is being developed to promote the efficient management of governance of the country’s political principles in relation to food and nutritional security and malnutrition in children and young people, using an intersectoral process, which includes capacity-building to improve cooperation, exchanges and the strengthening of joint work”, said Octavio Ramírez, the FAO Resident Coordinator in Costa Rica. The letter was signed by the Government Council on 16 October, marking World Food Day. The Deputy Minister of Health, Alejandra Acuña Navarro, pointed out that this cooperation between the Ministry of Health and FAO promoted intersectoral coordination and the identification and merging of joint actions. It followed the recent visit to the country by the Scaling Up Nutrition (SUN) Movement Coordinator and United Nations Assistant Secretary-General, Gerda Verburg. The causes and factors that contribute to overweight and obesity are so complex and multidimensional that they require the participation and commitment of the largest possible number of social actors in the fields of health, education, agriculture, social protection, environment, culture, tourism, investment, sport, recreation, academia, children and young people, communication media, research, food industry, consumers, international organizations, local governments and civil society organizations. The Compendium of Actions for Nutrition (CAN), a planning tool to evaluate the situation of overweight and obesity, is being used for the first time in Costa Rica. It was designed by the Secretariat of the United Nations Network for SUN/REACH, which is made up of FAO, IFAD, UNICEF, WFP and international experts from academia. Costa Rica is one of the 60 countries that lead the SUN Movement to end malnutrition in all its forms. Its strategy and road map for 2016-2020 help to raise awareness of the importance of nutrition as part of the global agenda, which is essential to achieve the SDGs. The results of its implementation will be used in the Intersectoral Workshop in which more than 40 professionals from various sectors relating to the theme of overweight and obesity in children and young people currently take part. 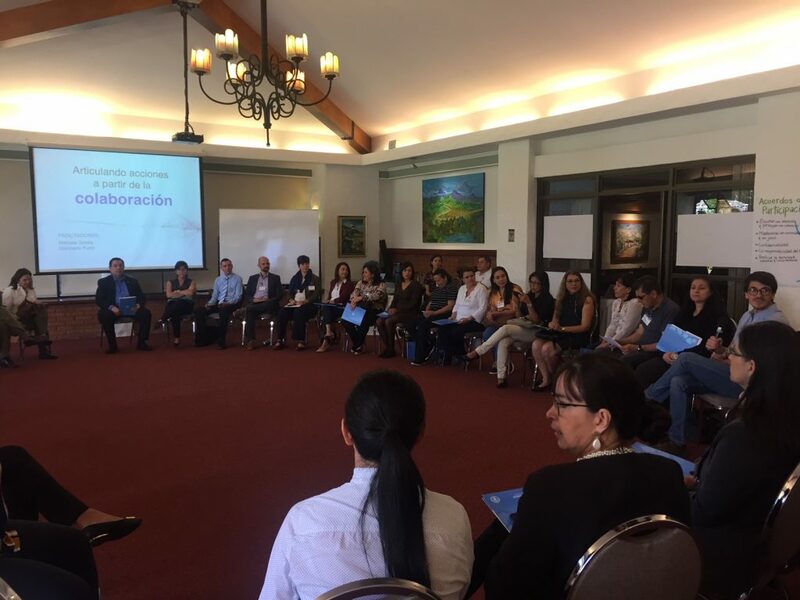 This workshop uses participatory methodologies that enable capacity-building, such as income generation, to map the current situation in terms of actions and actors from the food and nutritional security systems. It is also hoped that there will be a road map for 2030 that includes various coordinated actions to put an end to overweight and obesity in children and young people in Costa Rica.